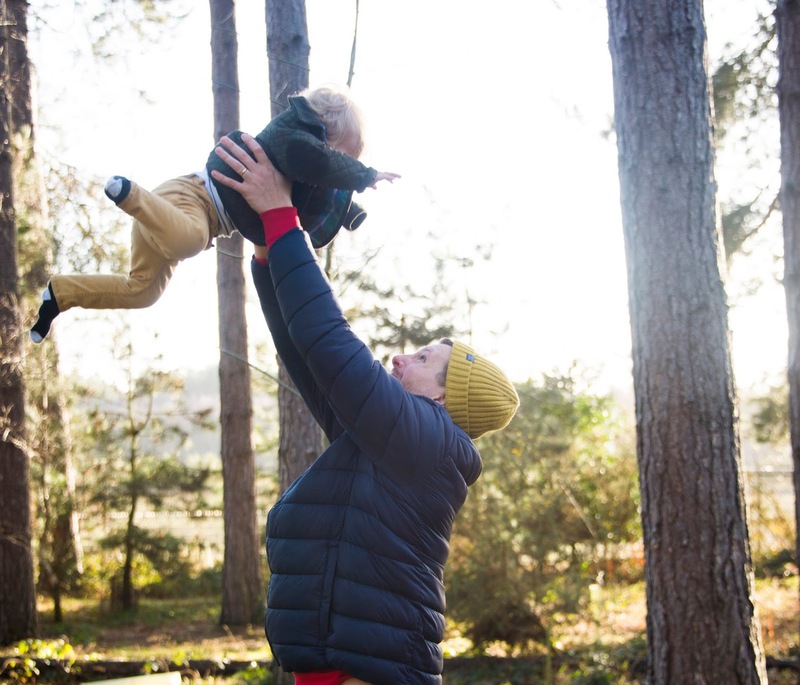 Having three young boys, I have come to view the outdoors as one of my greatest parenting allies. Whether there are grumpy moods in the household that need breaking- and fast! 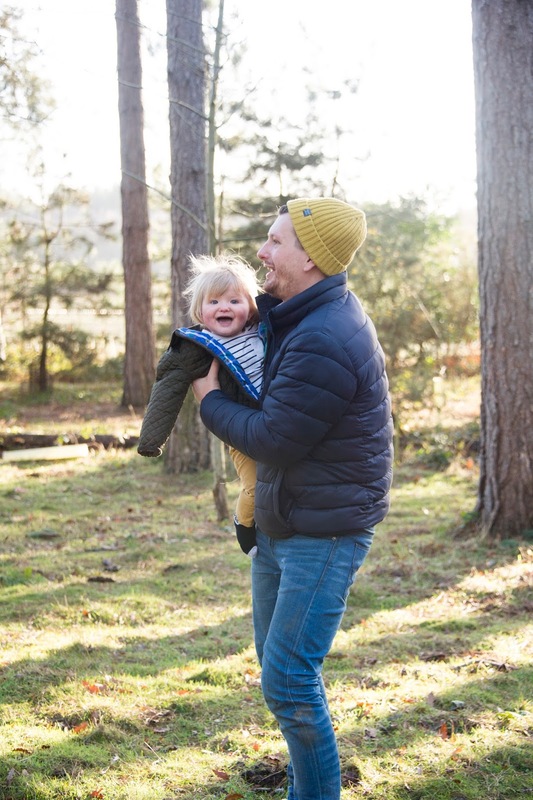 Or restless little legs that just can't sit still, I find getting outside into the fresh air is the quickest way to turn a tough day around and reinvigorate everybody. 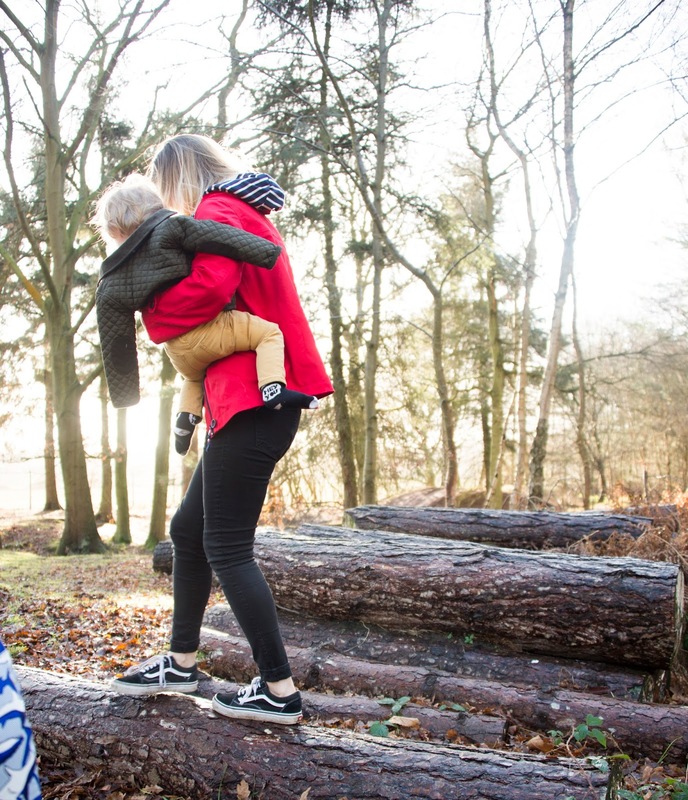 Try as I do to have a 'happy go lucky' approach to going out with my boys, if it is cold, wet and dreary out there, I have to admit I am the last person to suggest a muddy, countryside ramble. 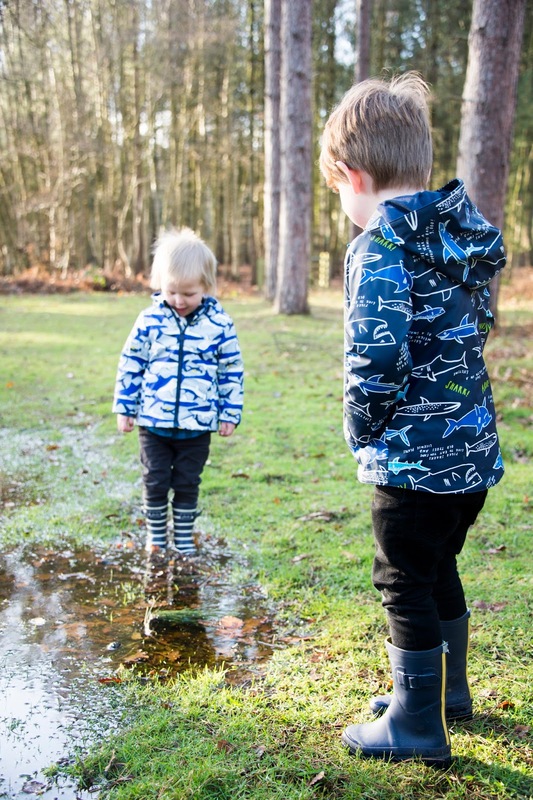 And yet, I know we NEVER come to regret it when we do pull our wellies on and get out there, which goes to show how much of a balm the great outdoors can be, come rain or shine! Investing in comfortable, protective clothing is such a deal breaker- especially when you're going from a place of warmth into the raw (and often wet) English winter. 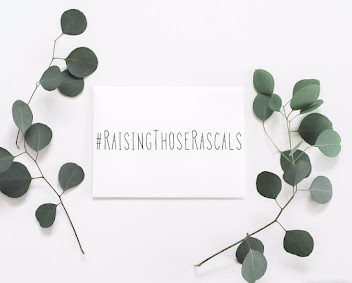 And from a parental perspective, I know these are the months we are constantly gambling against the likely possibility of going out and coming home full of colds, or staying in and feeling cabin fever. Going out nearly always tends to be the preferred plan of action! And I'm not going to lie, being able to rely on a garment that my two-year-old will gladly wear without questioning (or point blank refusing) is a win in my book-not to mention a complete rarity! 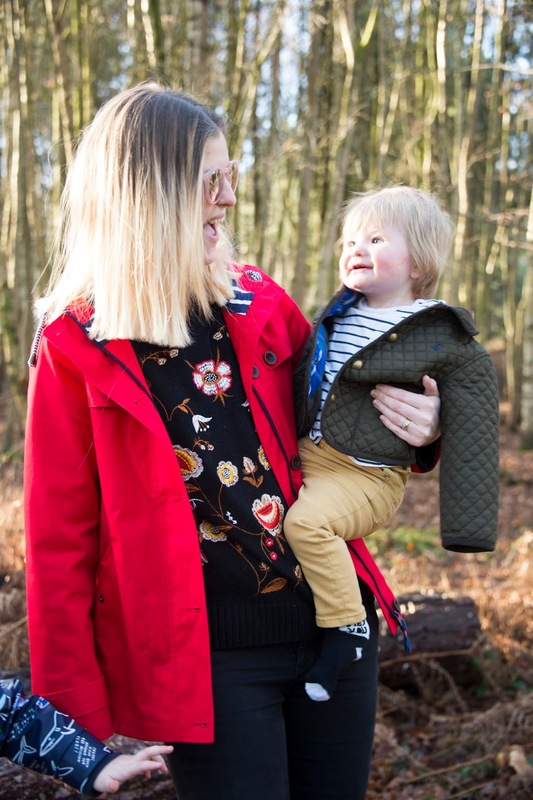 As such, I LOVE that Joules always nail their Right as Rain collections, making their pieces not only highly practical and weatherproof but also extremely appealing to picky little dressers. I also love playing a bit of 'matchy matchy' with the boys' outfits which, I gotta be honest, does make spotting my lads much easier when they're running off into fields. 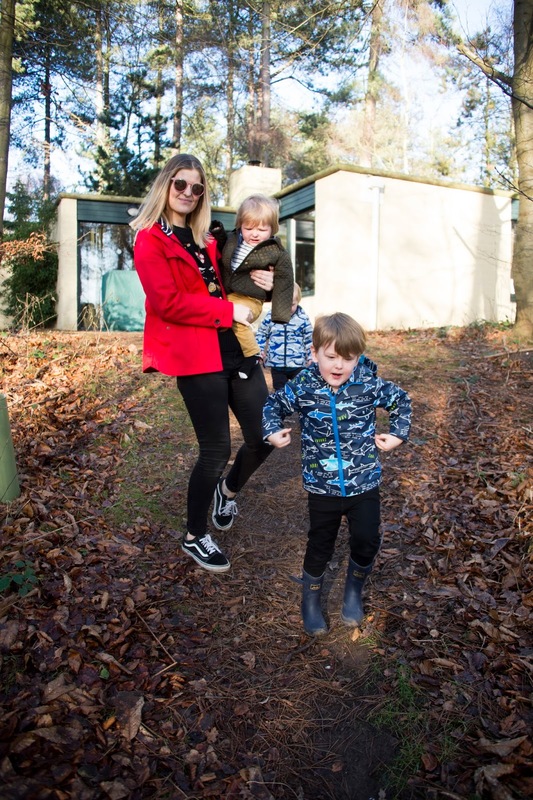 These Right as Rain coats are definitely multi-functioning with the kid-friendly designs, the supreme waterproofing and of course, the bright and bold colours which keep them in view - even from a distance! 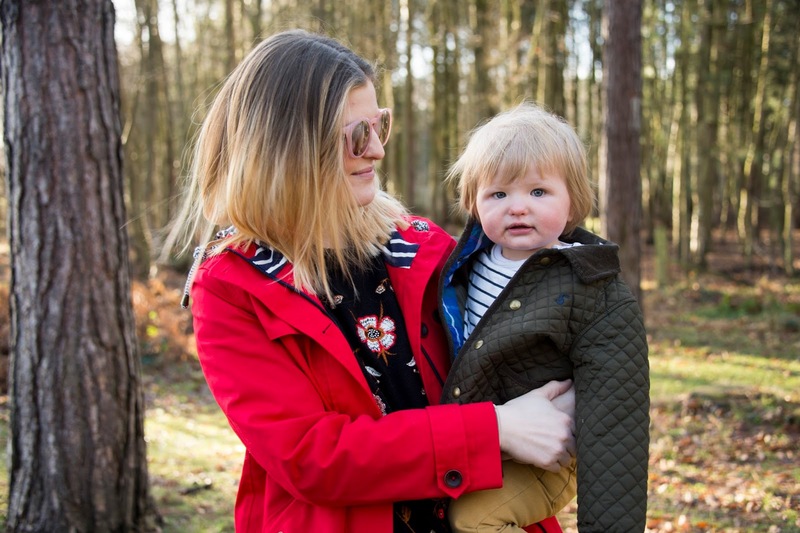 Since becoming a parent, I have come back to Joules time and time again for their outerwear. 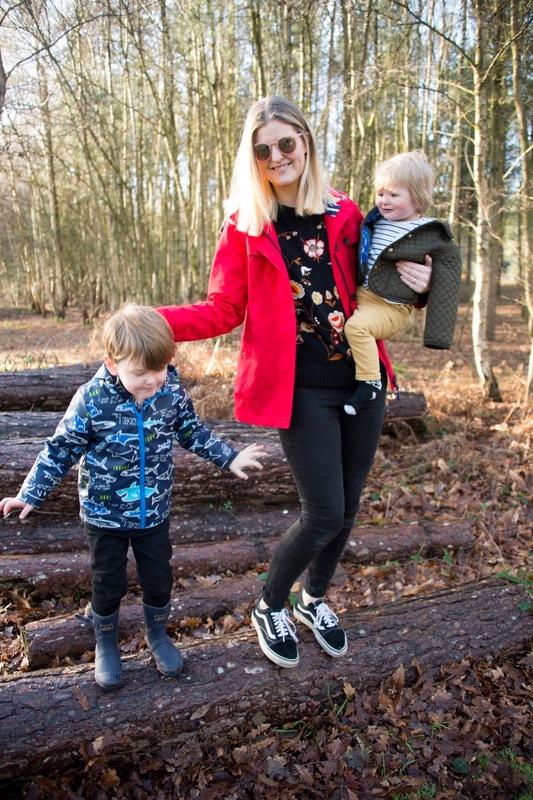 I really think they are the best place to start when looking for easy, stylish and VERY child-friendly pieces that make heading outside to jump in muddy puddles a breeze. 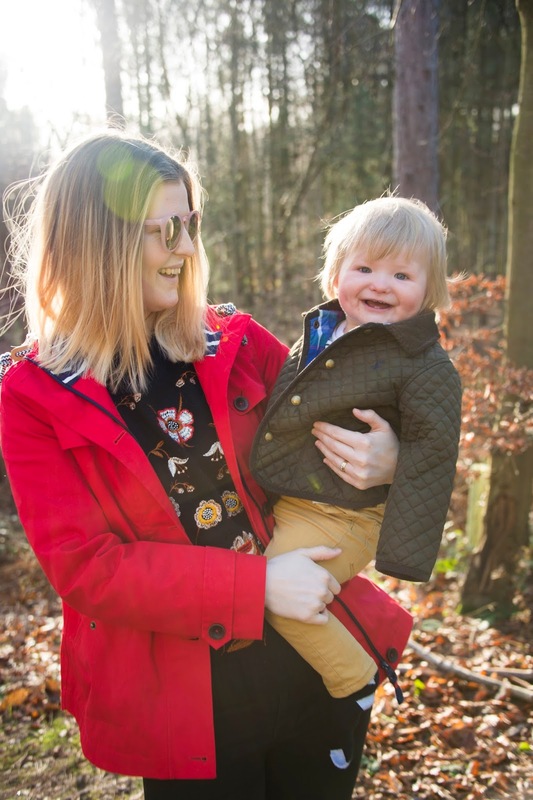 We were very kindly sent some coats from Joules which we've been wearing through winter and like previous coats I've purchased from Joules, they've been an absolute hit with the whole family! 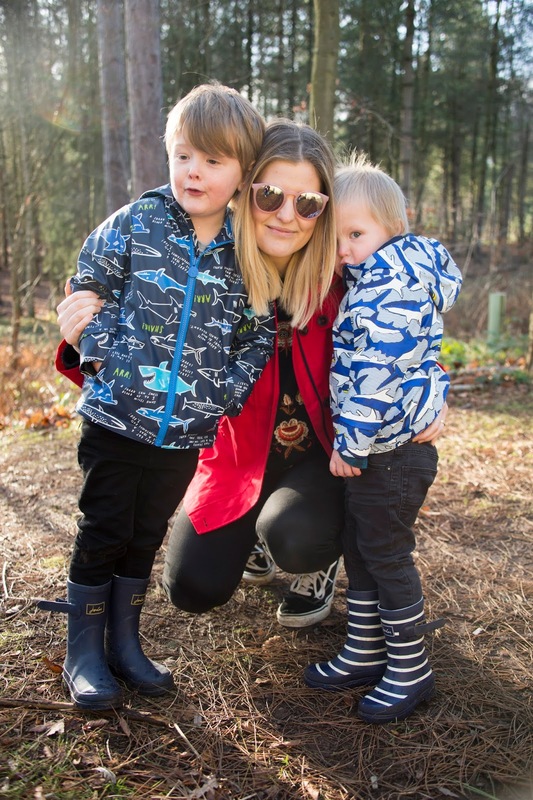 We're actually spending this week at Center Parcs and we have seen everything here from rain and hail to snow and sun so our raincoats have definitely been put to the test! 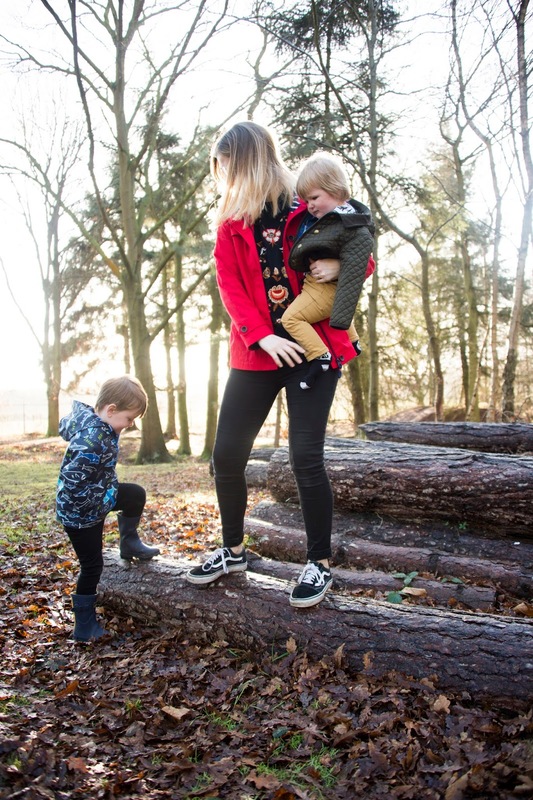 I'm actually really glad we bought these with us as they have been BRILLIANT for quickly throwing on when the boys spot a squirrel or goose on the move and want to 'say hi' ! 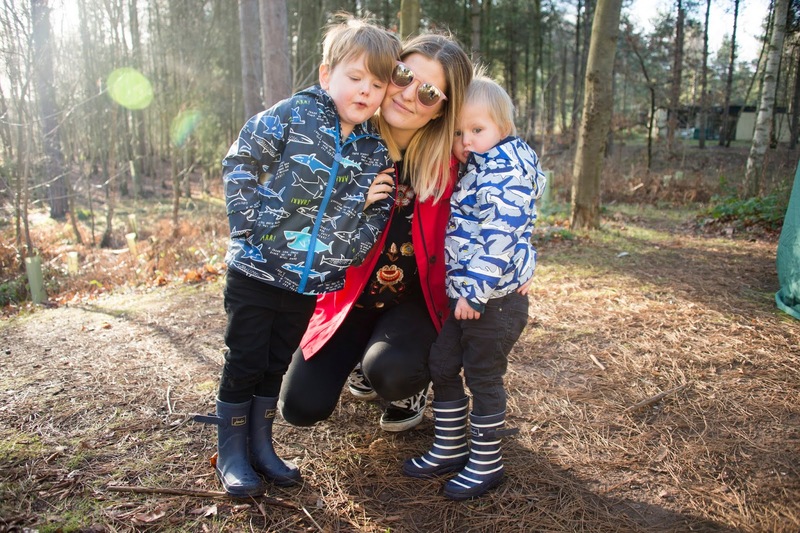 From this family of five, Joules' Right as Rain collection absolutely has our stamp of approval!